Christopher Van Hollen, a career State Department officer who became an authority on Southeast Asian affairs and leading administration voice regarding the newly forged and embattled country of Bangladesh, died on Wednesday in Washington. He was 90. 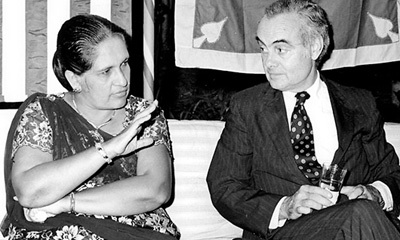 Dr. Van Hollen said he enjoyed cordial relations with Sirimavo Bandaranaike, the world’s first female prime minister. He said their smooth rapport was likely because as deputy assistant secretary of state, he had approved of U.S. military support against a short-lived insurrection against the Bandaranaike regime. After four years in Sri Lanka, Dr. Van Hollen returned to Washington.